Pink Lemonade: Greening your home: What does it really take? 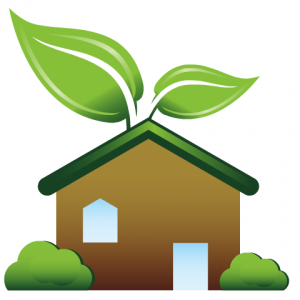 Greening your home: What does it really take? In today's environmentally conscious times, it seems we're surrounded by the need to shop, act and live "green." Some of our choices are easy and small, while others can be big and costly. But one thing is for sure - each choice can make a significant difference. But as many of us know from experiences of trying to diet, the most successful long-term changes we make can't make us feel as if we are "giving up" the small pleasures that we enjoy. According to Ed Detgen at Danze, Inc., some of the most important green choices we can make involve decisions to live more green within our own home. But what does living green really mean? "For some of us it may mean putting in Energy Star appliances or energy-efficient windows," says Detgen. "And for others it could be evaluating in-home water usage." It's the latter that Detgen believes could be one of the simplest and most significant steps any of us could take. "Water shortages, energy demands and the cost of transporting water are all on the rise," he says. "Finding ways to simply reduce our usage without dramatically altering our lifestyle could save billions of gallons of water each year in the United States." * Replace older toilets (1992 or earlier) with newer, high-efficiency models. They operate at 1.28 gallons per flush and could save 11 gallons of water per toilet per day. According to Detgen, Danze has several new HETs (high efficiency toilets) that out-perform and are more stylish than many toilets found in current homes. * Be sure to turn off the tap when brushing your teeth - it could save nearly 3,000 gallons of water per year. "We realize that most people don't want to have showers that are less satisfying than they currently have," adds Detgen. "The EPA WaterSense program recently published standards for showerheads that consider both conservation and performance to build support of these water-saving units. Be sure to look for the WaterSense certification mark." "Better design and engineering of many new bathroom products actually gives the user improved performance as well as efficiency," adds Detgen. "Faucets, toilets and showerheads are great examples. They're just like appliances that use less energy, but still work very well." If all the water-saving, green choices still have you overwhelmed, select one tip at a time and incorporate it into your home. Looking for other tips? Visit the EPA's WaterSense website. For more information about the performance and efficiency of Danze faucets, showerheads and toilets, visit http://www.danze.com/.